Here’s what’s up in the world of TV for Sunday, June 18. All times are Eastern. 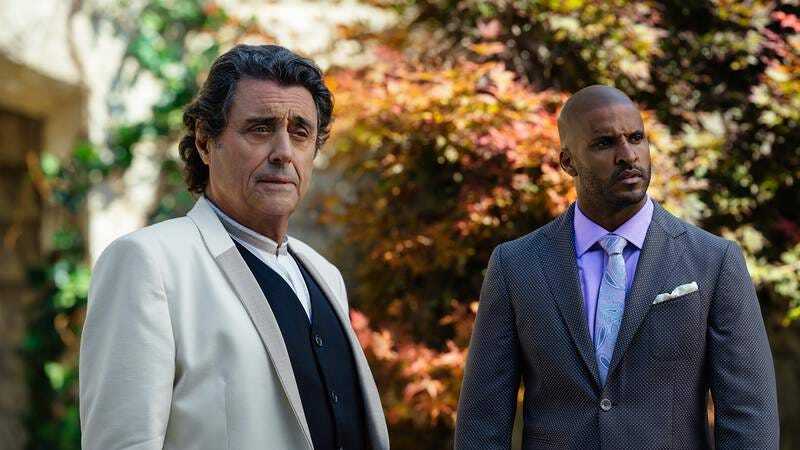 American Gods (Starz, 9 p.m.): It’s Father’s Day, so why not spend the evening with Thor’s dad and all the other superpowered and highly charged American Gods? Kristin Chenoweth has already revealed to The A.V Club’s Esther Zuckerman that her Easter finally shows up this episode, along with a whole bunch of Jesuses (Jesi?). The episode is called “Come To Jesus,” after all. Emily L. Stephens is sad to see this dynamic first season come to an end, but considering that she’s also on Twin Peaks duty, maybe she’s a little relieved as well? You’re only human, Emily, but if there’s a TV-reviewer goddess category, you’re a shoo-in. Speed (HBO, 8 p.m.): It’s practically summer, so enjoy the blockbuster that helped turn Keanu Reeves into a solo action hero, a gig he still excels at 20-odd years later. Here he’s SWAT agent Jack, who somehow has to save all the people on a bus that will blow up if it goes under 55 miles per hour. Just be careful showing it to your kids, and make sure they’re old enough: One of your WOT correspondents (guess which one) was so anxious to watch this with her children that it looks like they’ll now have a lifelong fear of elevators, thanks to that opening action sequence. Which is unfortunate. Strangely, they’re still okay with buses.